Rockstar has confirmed Red Dead Redemption 2, a follow-up to 2010's much loved western adventure. It's set to come to PS4 and Xbox One. The game will launch in Fall 2017 and a trailer will be released this Thursday at 11AM EST (8AM PT, 4PM BST) as we correctly predicted. Rockstar has called the game, "an epic tale of life in America’s unforgiving heartland." "The game's vast and atmospheric world will also provide the foundation for a brand new online multiplayer experience." 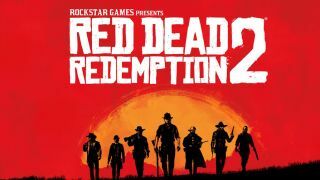 Sam Houser, Founder of Rockstar Games, said, "With Red Dead Redemption 2, the team is working hard to push forward our vision for interactive entertainment in a truly living world. "We hope to deliver players an epic experience that builds upon everything we've learned making games." There's no word on a PC release for Red Dead Redemption 2 and as yet there's no confirmation whether the first game's protagonist John Marston will return. The picture released by Rockstar suggests we will see a gang of seven outlaws, which could be connected to Marston's gang he speaks about in the first game. Hopefully on Thursday we'll find out.